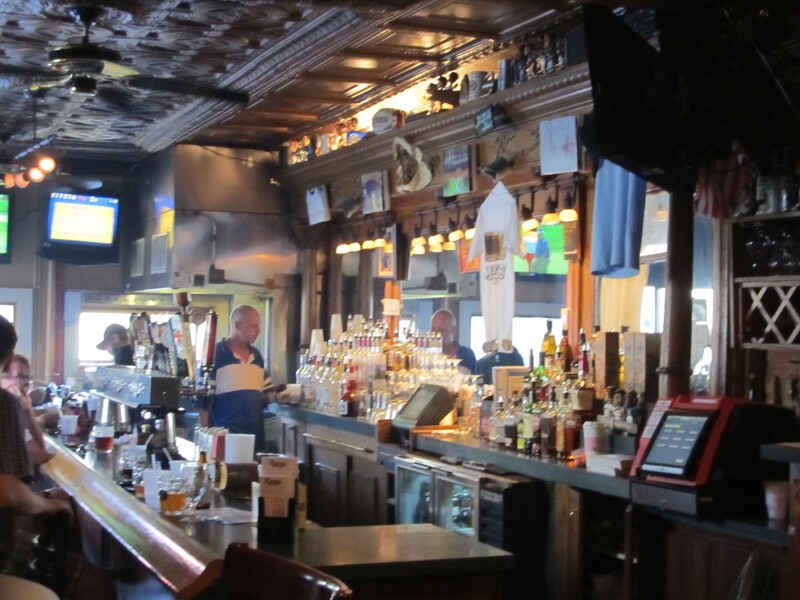 On Saturday afternoon my husband and I went to one of our favorite Baltimore pubs. Mahaffey’s has a great neighborhood atmosphere. It’s the kind of place where people know each other, and frequently stop by just to chat with the owner. Mahaffey’s also happens to have a revolving selection of outstanding beer, and the best happy hour special in Baltimore. Later that evening, we walked into Little Italy and had dessert at Vaccaro’s. But I was too transfixed by my exquisite peanut butter gelato to remember to snap a photo. You’ll just have to swing by and try one. This entry was posted in Baltimore. Bookmark the permalink.